In addition to NASDAQ, Russia's leading search engine is now listed in Moscow. As Analysts debate whether the move is a business decision, or a political one. Yandex N.V., the parent company of Russian web giant Yandex, has begun selling its shares on the Moscow Stock Exchange – just six weeks after President Vladimir Putin made comments about the company in a speech critical of the Internet. According to experts, however, Yandex’s decision to list in Moscow had been planned for at least several months and was made to allow investors to buy Yandex shares 24 hours a day. On May 4, on their first day of trading on the Moscow stock exchange, Yandex shares traded at 35 percent higher than they did on NASDAQ. The soaring stock price was due to the acute shortage of securities. An official statement by Yandex announced that its shares began trading on the Moscow Exchange on June 4, and that they have been included into Listing A Level 1, the top quotation list on the exchange. The company’s shares will also continue to trade on the NASDAQ Global Select Market, where they have been listed since 2011. “This local listing is a response to demand from investors in Russia and it benefits Yandex. We anticipate that the listing will broaden the company’s shareholder base internationally and stimulate investor interest,” the press service quoted Arkady Volozh, the company’s CEO and its largest shareholder, as saying. 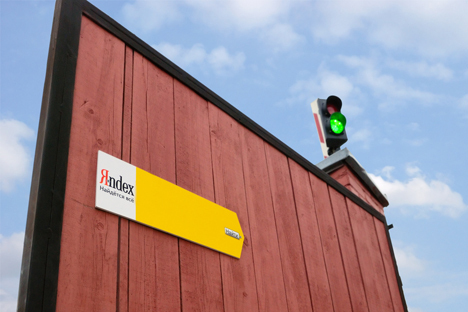 Yandex issued an IPO in New York in May 2011, floating a 17.6 percent stake on the NASDAQ exchange. The overall volume of the IPO reached $1.43 billion, making it one of the largest in the history of the exchange. As of June 4 2014, Yandex’s market capitalization was $10.02 billion, making the firm Russia’s largest IT company by market cap. Anna Milostnova, an analyst at investment company UFS, said that the company had long been preparing to list in Moscow. "Yandex publicly stated the possibility of becoming listed in Russia as far back as in February 2014, in comments on their 2013 financial statements. And the company started to prepare for it last year," Milostnova said. "Getting listed on Moscow Exchange happened to take place shortly after the statement by First Deputy Prime Minister Igor Shuvalov that Russian companies whose shares are traded abroad should become listed in Russia, as well as after the statements by President Vladimir Putin regarding the West’s influence on the company." Others think that the listing just as Russian authorities are showing increased interest in the Internet was not so random. In April, Putin made comments about the Internet and Internet companies at a forum in St. Petersburg, including that the Internet "emerged as a special project of the U.S. CIA and develops as such," according to Russian news agency Interfax. Putin singled Yandex out for criticism, noting that the company counted Americans and Europeans among its founders and that it was partially registered abroad. Shortly thereafter, the State Duma passed a law requiring social media websites to keep their servers in Russia and to store users' information for six months along with another law categorizing bloggers with more than 3,000 hits a day as online media. Additionally, as Timur Nigmatullin, an analyst at Investcafe pointed out, Yandex’s listing in Moscow took place on the eve of Putin’s anticipated meeting with the CEOs of Yandex and Mail.ru Group, scheduled for June 10. Despite the potential political reasons behind the move, Nigmatullin agreed that the listing has economic benefits for the company and shareholders. "The listing is beneficial for Yandex’s current shareholders and potential investors in terms of improving liquidity, as shares will be available for trading practically all day in different time zones – on the U.S. NASDAQ Stock Exchange and on the Moscow Stock Exchange," Nigmatullin said. The time difference between Moscow and New York is 8 hours in summer and 9 hours in winter. According to Anton Soroko, an analyst from the investment holding Finam, Yandex shares are popular with investors on the NASDAQ, since they represent a company in a rapidly growing market segment and at the same time have a high volatility. "The purchase of shares of the company can be interesting in both the short and long term: Yandex can still hardly be called a company that has fully matured and used up all its opportunities for the extensive expansion of its business and enhancement of its efficiency,” Soroko said. According to him, listing in Moscow gives traders that operate only on the Russian exchange the opportunity to purchase shares in the company. "This listing is important in the context of the formation of a global financial center in Moscow, one of the key features of which should be a well-developed stock exchange. Moreover, the benefit to the issuer is also evident, so I think that the listing has been carried out with due consideration of the interests of all the parties involved,” Soroko said. Anna Milostnova agrees that the move is beneficially for the company’s bottom line. "Getting listed in Moscow for Yandex is primarily an opportunity to expand its pool of investors," said Milostnova. Therefore the decision should be seen "as an economic, rather than a political, move." The Mail.ru group, which owns the email service of the same name and one of Russia’s largest social networks is also exploring the possibility of listing in Moscow.